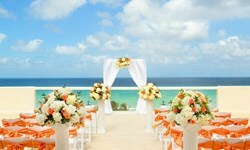 Hyatt Zilara Rose Hall - Wedding Venue and Packages | The Future Mrs.
Hyatt Zilara Rose Hall offers some of the most beautiful wedding venues in the Caribbean, with spaces for up to 1,000 guests. 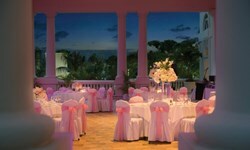 Choose from a number of packages and menus to design your perfect celebration. 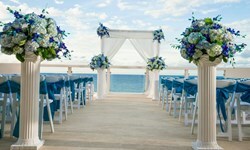 Whether you want a grand ballroom gala or a simple barefoot beach ceremony, our wedding specialists can handle every detail. 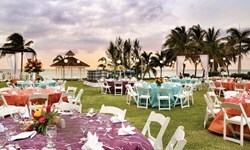 Hyatt Zilara Rose Hall is a carefree resort destination with dazzling Caribbean vistas, relaxing activities, and delectable cuisine, all included with your stay. Turn up the romance with a beachfront couples massage, or indulge in tropical cocktails in the adults-only pool. Our attentive staff ensures you’ll make the most of your vacation, from playful nightly entertainment to 24-hour room service.